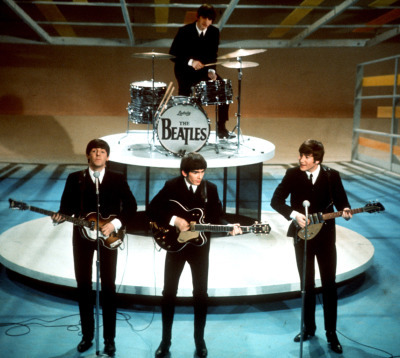 On this day in 1964, The Beatles made their first appearance on "The Ed Sullivan Show." #2. 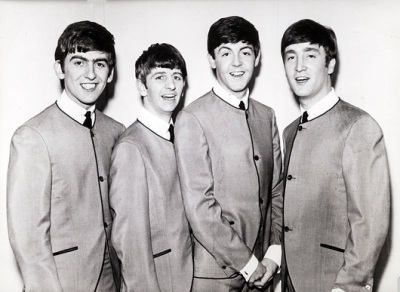 Before settling on their final line-up, various incarnations of The Beatles performed under names including The Quarrymen, Johnny and the Moondogs, Japage-3, The Silver Beetles, The Silver Beats, and The Silver Beatles (all of which featured at least John, Paul and George), as well as The Beat Brothers, which is what they called themselves while acting as a backing band for Tony Sheridan. 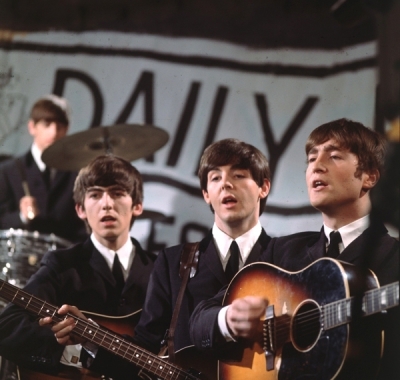 (John and Paul also billed themselves as the Nerk Twins during two gigs in 1960.) 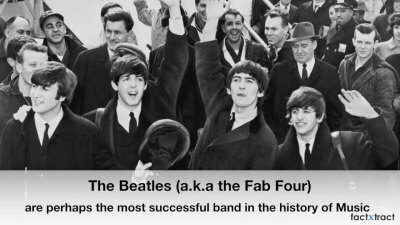 By the time Ringo joined the band in 1962, they were already established as The Beatles. #3. In the band's younger days (sometime in 1960), Paul McCartney and then-drummer Pete Best were deported from Germany for nailing a condom to a wall and lighting it on fire. The group had been performing at the Kaiserkeller in Hamburg on a nightly basis, but found a more lucrative gig at a nearby venue (and an apartment directly above) and decided to move from their Hamburg flat — which, unfortunately, happened to be owned by the Kaiserkeller's manager. When Paul and Pete went to fetch their stuff, they cheekily set a condom on fire to use as a makeshift torch. When the owner found out, he claimed arson and had the police boot them from the country. #4. When George Harrison lost his virginity in 1960, bandmates John, Paul and Pete Best were all peeking from their bunk beds, merely pretending to be asleep. "They couldn't see anything because I was under the covers, but after I'd finished, they all applauded and cheered. At least, they kept quiet while I was doing it," George later recalled. #5. In August of 1964, a woman named Gertrude Goodman was robbed, beaten and shot at (the bullet grazed her head) in a hotel room at the Hilton in San Francisco. Unfortunately for her, this incident occurred on the very same day The Beatles were set to check in at the same hotel, so a nearby maid initially ignored her screams, thinking they were the shrieks of an over-excited teenage girl (of which there were thousands stationed near the hotel's entrance). Goodman was later rushed to a hospital in critical condition. #6. Bob Eubanks, perhaps best known as the original host of "The Newlywed Game," is the man responsible for booking The Beatles for their iconic Hollywood Bowl performance. After learning that they wouldn't be stopping in L.A. during their first American tour in 1964, the 26-year-old Eubanks — then a radio DJ — mortgaged his home for $25,000 to finance the show. When the concert was over, Eubanks earned enough to re-secure his house from the bank, along with an extra $1,000. #8. 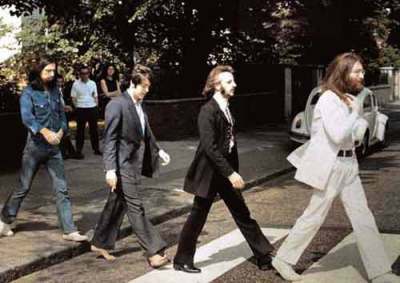 The "Abbey Road" song "Because" was inspired by Beethoven's Piano Sonata No. 14 (commonly known as the "Moonlight Sonata"), albeit in reverse. John had been listening to Yoko Ono play the piece's first movement at the piano, then asked her to play the chord progression backwards and fashioned a melody around it. #10. On a 1976 episode of "Saturday Night Live," creator Lorne Michaels jokingly offered The Beatles a check for $3,000 in exchange for reuniting on his show. ("You divide it any way you want; If you want to give Ringo less, that's up to you," Michaels deadpanned.) 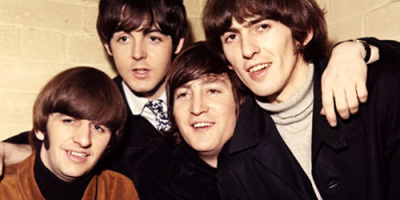 Little did Michaels know that Lennon was watching the live broadcast at his home in New York, and suggested to McCartney that they take him up on his offer when McCartney visited Lennon a week later. Ultimately, they decided against it for a night off. "It would've been work … but it was a nice idea," recalled McCartney on Access Hollywood. "We nearly did it."